Barring timely action, demand for Colorado River water will outstrip supply. 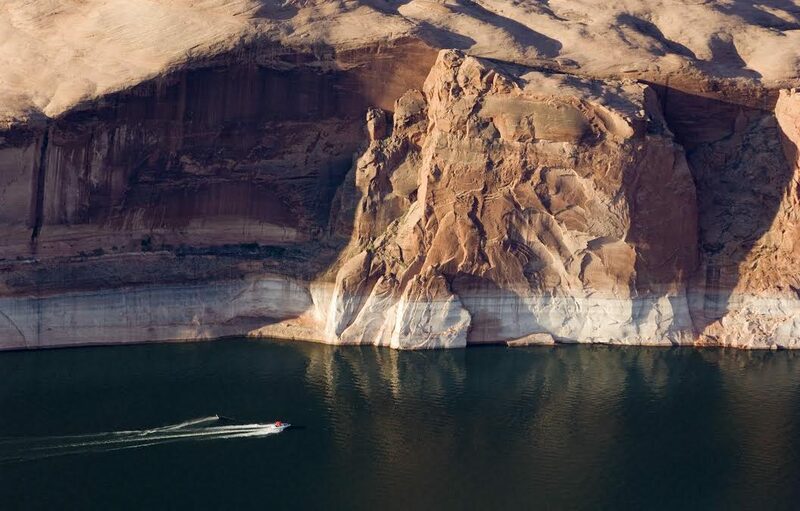 That came as no surprise when published as a major finding in the U.S. Bureau of Reclamation’s 2012 Colorado River Basin Water Supply and Demand Study, but confirmed the need to address shortfalls on the Colorado. “We looked at a wide range of future outcomes and found that imbalances between supply and demand are going to impact every resource that the basin serves…they’re all vulnerable to some degree absent future action,” says Carly Jerla, who managed the study for Reclamation. The study was precipitated by the 2009 SECURE Water Act, which charged Reclamation with mitigating the risks of climate change in the nation’s major river basins, and the establishment of the agency’s WaterSMART initiative in 2010. Now, Reclamation and myriad stakeholder partners are focused on “Moving Forward,” a project to continue the 2012 study’s work of identifying solutions for the Colorado’s supply imbalance. Individual workgroups are tackling municipal and industrial water, agricultural water, and environmental and recreational flows. By the end of 2015, Moving Forward will begin identifying pilot projects to test. The timeline to launch, complete and assess pilots isn’t set.